Sign up for Project 11 LEARN MORE NOW! Our new class at Barre 11, Barre Fly. You will feel energized and want more after your first class. All Barre 11 Instructors are certified in the classes they teach. Our client experience is more important to us than anything else. Listen to what our clients are saying about their experience. Where the workouts make you strong and the community makes you stronger. Where strangers become sisters and change becomes unstoppable. Our clients say it all, and say it better than we could. Not our words but their experiences. You're next, are you ready? The Shake is change and the change you want. You will know it when you feel it, embrace it, seek it out for only through the shake do you find the results. Check out our line of Barre 11 apparel. From hashtags to hats there is something for you here. Our life, your life, the 11 life. The 11 life is a complete approach to wellness. Come be apart of the 11 life, come to your happy place. 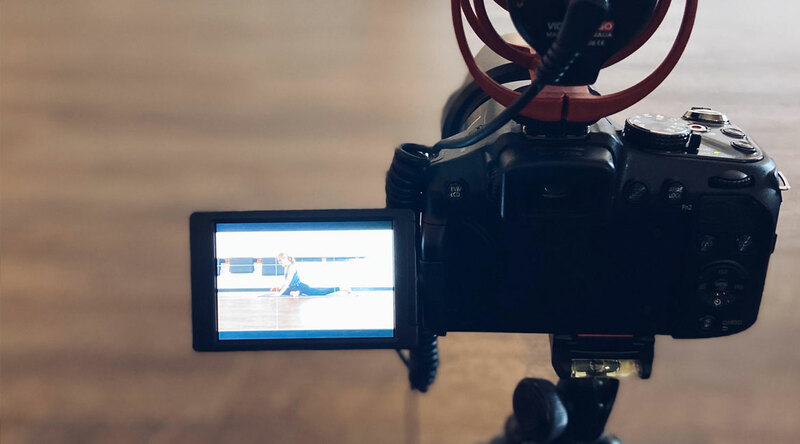 "A few classes in, and I decided that I'd make barre a daily to-do, and I've rarely skipped a class (and sometimes take two) since that decision." "I can honestly say that I am in the best shape of my life. Barre11 has given me such a passion for fitness and healthier living." "The workouts never stop challenging me and there is such a variety of classes to choose from." "Barre 11 Fitness experience has been the best decision I made in my life!" "The results are amazing. My arms, rear end, and legs look phenomenal." "I even had a stranger stop me in a department store and ask what I did to have such amazing legs! I told her and now she’s a Barre11 client!" "Barre 11 has been able to take me to a place that I have never been before in my fitness journey." Come to your happy place. Where you unwind from your day. Where the workouts make you strong and the community makes you stronger. Where strangers become sisters and change becomes unstoppable. 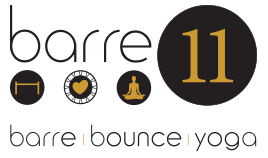 Barre 11 is the first boutique fitness studio in Murfreesboro to offer barre, yoga, Tabata boot camp, and bounce classes under one roof. Barre 11 Fitness is a beautiful atmosphere where strength, health, and empowerment unite. We have CERTIFIED instructors. And we don't mean that they took an online course or watched a lot of youTube videos. We mean they have spent hours upon hours and weekends away from family getting certified in a legitimate barre method. We mean they spend many Sundays workshopping with other instructors and learning from local chiropractors about the body and ways to modify for you! We mean that their education never stops and they have taken numerous continued education courses along with their certifications. Not only that, but after they get certified, every Barre 11 instructor goes through an apprenticeship program before they teach their own classes. 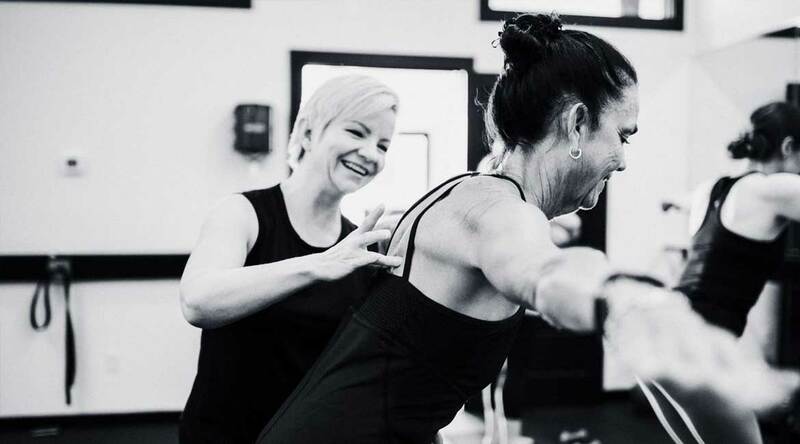 Barre 11 instructors are incredibly knowledgeable about all things barre and body, which means you are getting a TRUE barre experience, not watered down barre! We know you. We know your name. We know your strong points and your limitations. We correct your form. Correct form=best results. THINK PERSONAL TRAINING IN A GROUP ATMOSPHERE! We operate in the client first mentality during your entire Barre 11 experience. From your first step inside our door, we want you to feel loved and important...because you are!! We promise to know your name, know your kids names and be completely invested in every aspect of your life...if that's what you need! Inside the studio, you will find teachers who are completely dedicated to giving you an amazing workout for the allotted time of the class. We are focused on you! Whereas most personal trainers show you the exercise and then walk around looking at their phones, we stay engaged with you through the entire exercise...encouraging you, correcting your form, and making sure your workout is capable for YOU! Our mission at Barre 11 is to provide women with meaningful, powerful, safe and intentional movement through various avenues of low impact fitness methods by creating a safe space where our bodies can be celebrated in an aesthetically pleasing environment surrounded by a supportive, loving and family-like atmosphere where change is inevitable to take place-physically and mentally.